How many letters in Chinese, Korean, Japanese alphabets? In the Russian language 33 letters and sounds on a dozen more. Different vowels and consonants. Only 6 vowels, whereas consonant sounds 37. Among consonants are distinguished sonorous and deaf, hard and soft. If the number of letters in the Russian language, everything is clear – their 33 – that number sounds a bit more complicated. Although it would seem that such a complex? To take and count. Of course, you can count. And in fact, the number of sounds of the Russian language is known. But from time to time, people question not only about how many sounds, but the separation of concepts such as sound and letter. 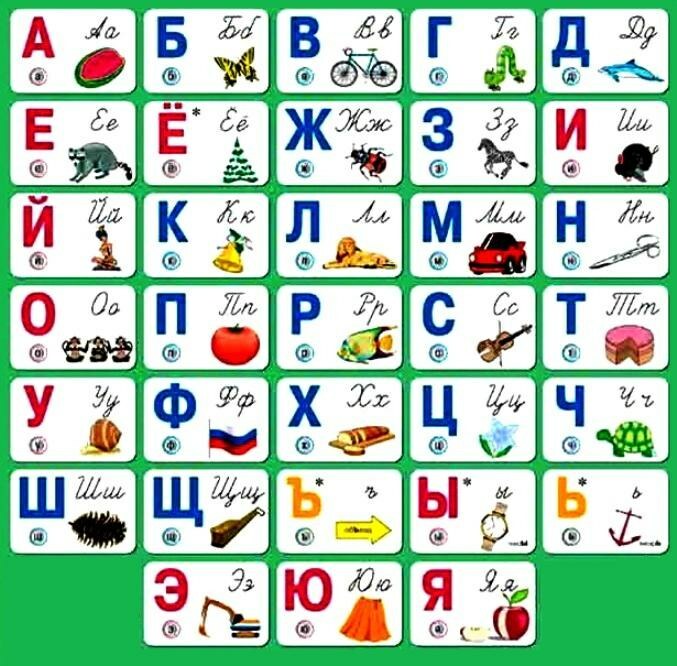 The Russian alphabet consists of 33 letters, 10 of them are vowels and 21 are consonants and two letter any sounds not signify they need for auxiliary purposes. This is a soft sign "b" and the hard sign "b". As mentioned above, vowels ten. But the vowel sounds in the Russian language. "How so?" I wonder people who have completely forgotten what you were taught in elementary school. This is forgivable, however, in professional activities not necessary to carry out sound analysis. Yes, the vowel sounds in the Russian language in all six [a], [o], [y], [e], [s], [and]. On the letter these sounds are indicated by the corresponding letters according to spelling. Sorry, sometimes called sounds of the letters - vowels iodirovannoye. This is a mistake. The vowels "I", "e", "e", "Yu" in the words designate or the softness of the preceding consonant ("med"), or at once two sounds ("Yula" [Yula], lighthouse [Mayak]. Of course, if we look wider, we can see that, for example, the sound [a] is not the same in different parts of the word. The accent is to pronounce it as clearly as possible, but as far as his position on impact, so it is less clear. In linguistics this is called reduction or reducing. When sound analysis of words, when writing transcriptions for stressed and unstressed sounds are used with different badges. But within the framework of a school course enough to know that vowels in the Russian language. With consonants sounds and letters is somewhat easier. Although also has its own characteristics. Letters, as already mentioned, 21. And consonant sounds – 37. In the Russian language consonant sounds vary in hardness-softness and voicing is voiced or voiceless. Most consonant sounds are paired hardness-softness. It is [[b] - [b']; [V] - [V']; [g] - [g']; [d] - [d']; [z] - [z']; [K] - [K']; [l] - [l']; [m] - [m']; [n] to [n']; [p] - [p']; [R] - [R']; [s] - [s']; [t] - [t']; [f] - [f']; [x] - [x']. Only 15 pairs. The other consonants are either always hard pronunciation ([W], [W], [C]), or soft (['th'], [h'], [u']). Total turns 36 consonants. Osobitsu is the 37th consonant [f’:]. For voicing-voiced or voiceless most of the consonants are paired. Such pairs 11. Always ringing, respectively, unpaired: [’th'], [l], [l’], [m], [m], [n], [n’], [R], [R’], [W’:]. Always blind: [x], [x’], [TS], [h’], [u’]. Total in the Russian language, 37 consonants, and 6 vowels. A total of 43 sound.